New paper with Elizabeth Kensinger (Boston College). “It’s a big decision isn’t it? In this podcast we hope our panel can help you decide. Podcast organised by the Dementia Researcher network. Short chapter on learning strategies, published in Essays from E-xcellence in Teaching 2017, an annual collection from the Society for the Teaching of Psychology. 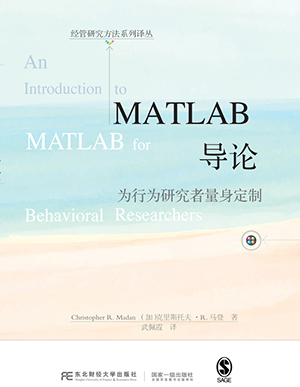 Dr. Madan’s 2014 book, An Introduction to MATLAB for Behavioral Researchers, has now been translated into Chinese! New paper in PeerJ CS, providing an overview of the first year at JOSS! New paper on fractal dimensionality and age-related differences in brain structure, with Elizabeth Kensinger (Boston College). Dr. Christopher Madan was recognised by the Association for Psychological Science (APS) with a Rising Star award. This award is presented to outstanding psychological scientists in the earliest stages of their research career post-PhD.